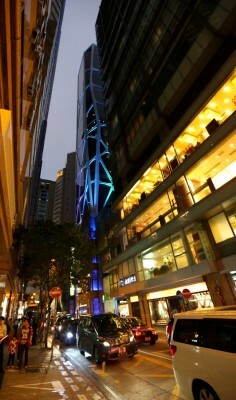 OLIV is a commercial building within the busiest shopping district of Causeway Bay in Hong Kong. 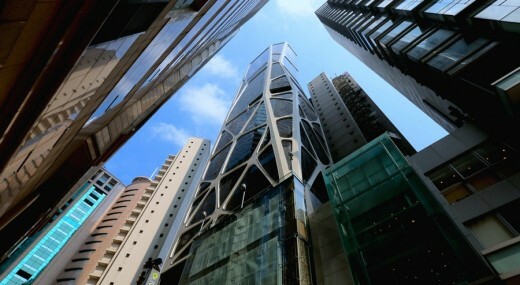 The building sits on a small urban site of 287m2 with a building height of 125m and a floor-to-floor height of 4980mm. 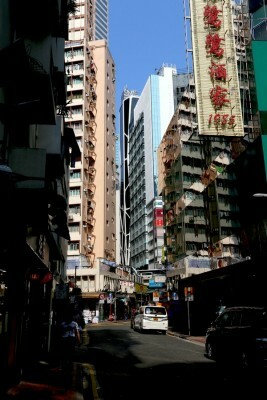 Most of the floors are occupied by retail and F&B tenants. The design is inspired by the olive tree after which the building was named. 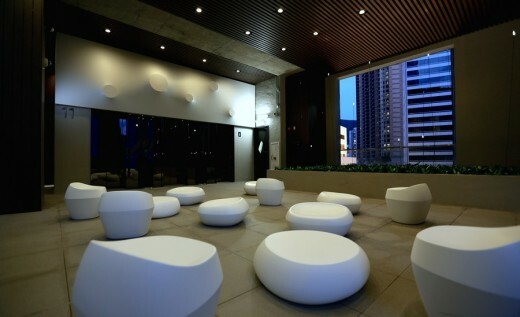 The floor plate changes slightly on every floor as the building moves upward giving it a twisting and turning profile. The exterior is wrapped with a “triple skin” on the outside, with an interior orthogonal layer of subframe and mullions, a dark grey glass curtain wall layer, and an organic exterior layer of white cladding. This layer contains the “olive tree knots” which turn into radiating “stars.” The logo of OLIV forms signature star sitting at the top of the roof, visible at night and from afar. Oliv Commercial Building by Theo Texture is Winner in Architecture, Building and Structure Design Category, 2014 – 2015. The design is inspired by the olive tree after which the building was named. 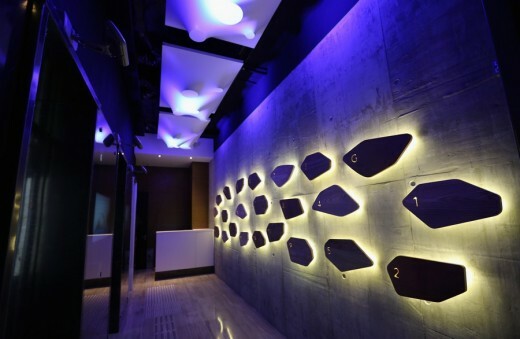 The floor plate changes slightly on every floor as the building moves upward giving it a twisting and turning profile. 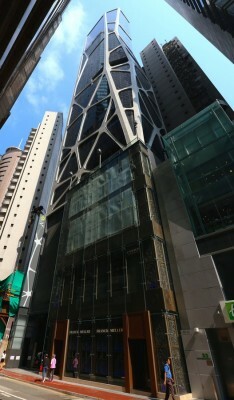 The design has a “triple skin” curtain wall that is composed of an interior orthogonal layer of subframe and mullions, a dark grey glass curtain wall layer, and an organic exterior layer of white cladding. This layer contains the “olive tree knots” which turn into radiating “stars” as the signature and logo of OLIV. 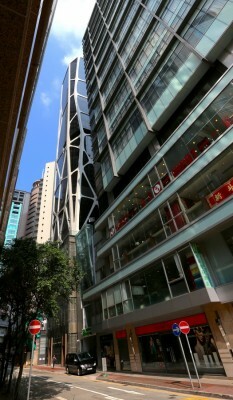 OLIV is a commercial building within the busiest shopping district of Causeway Bay in Hong Kong. OLIV sits on a small urban site of just over 280m2 with a building height of over 100m tall and a floor-to-floor height of 4980mm high. A number of the floors will be occupied by retail and F&B tenants. 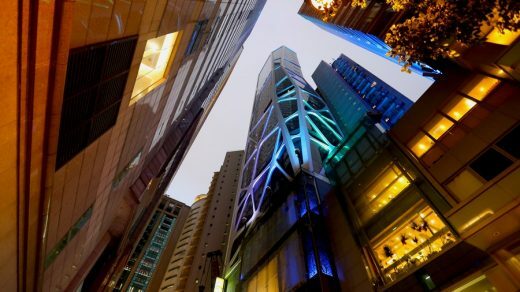 The project took around 3 years to complete, including demolition of the original 6-storey walkup buildings, bore-pile foundation and the main superstructure. Due to size of the site and the challenging urban environment, we face tremendous difficulties from the first day taking over the site, including the demolition of the original structure, the bore-pile foundation and the superstructure with the variable floor plates. It is even more challenging for the curtain wall design and production where every piece of the organic-shaped aluminium cladding is different due to the irregular form of the building. 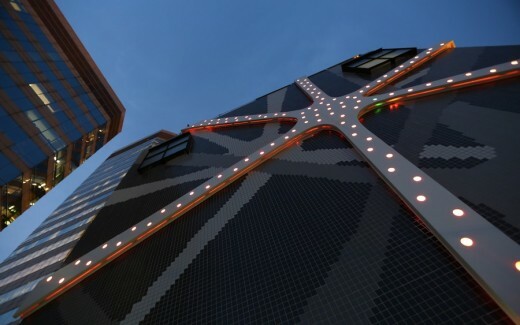 They were all prefabricated offsite, transported to the site, and assembled to fit perfectly on to the concrete structure as a triple-layered skin. In addition, after going through a wind tunnel test, the entire reinforced concrete structure is slimmed down by around 30% to increase the efficiency of the floors.